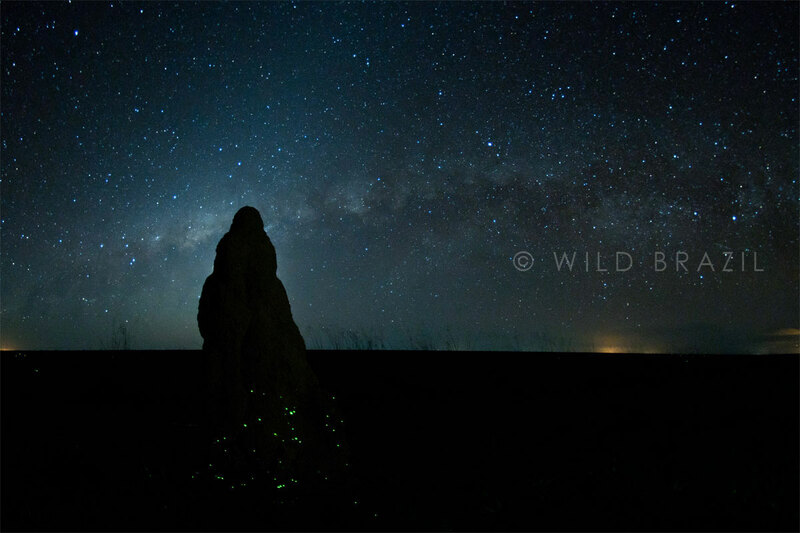 In the natural world indescribable spectacles of beauty due to emission of light produced by living beings are known. 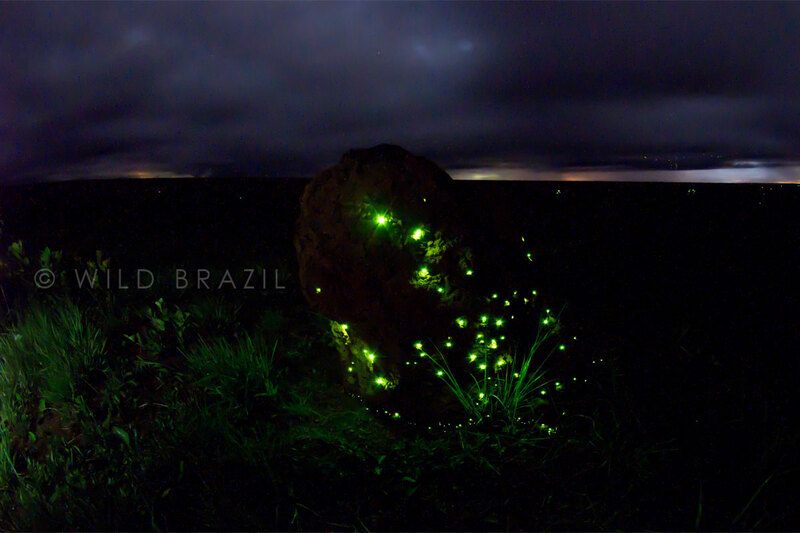 Doubtlessly, in America, one of the most astonishing is the one offered by the "bioluminescent termite nest" that can be watched in the Open Cerrados of Central Brazil. Beetle larvae that inhabit termite nests present modifications that allow them to cohabitate with the termites. 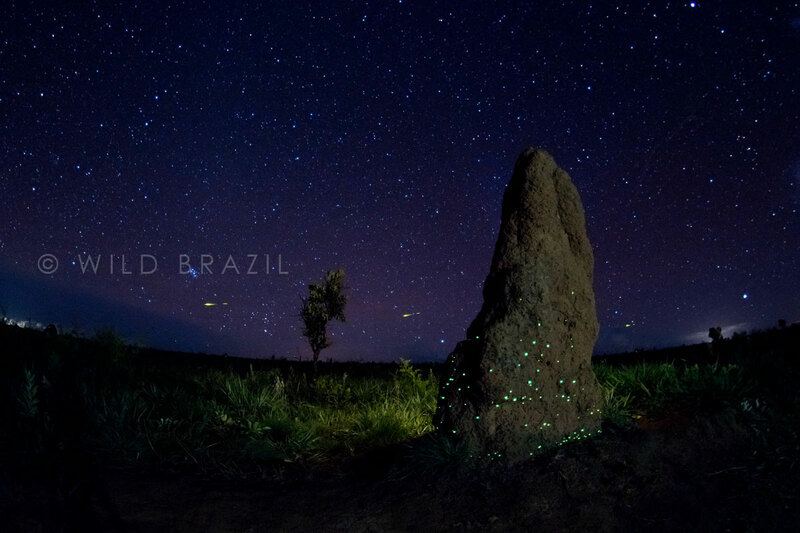 The phenomenon of the bioluminescent termite nest from Central Brazil is very impressive; it is the result of the luminescent activity of Pyrearinus termitilluminans Costa, 1982 (Elateridae, Agrypninae) larvae, which are found in old nests of Cornitermes cumulans (Kollar in Pohl, 1832) (Termitidae, Nasutitermitinae), one meter or more in height. 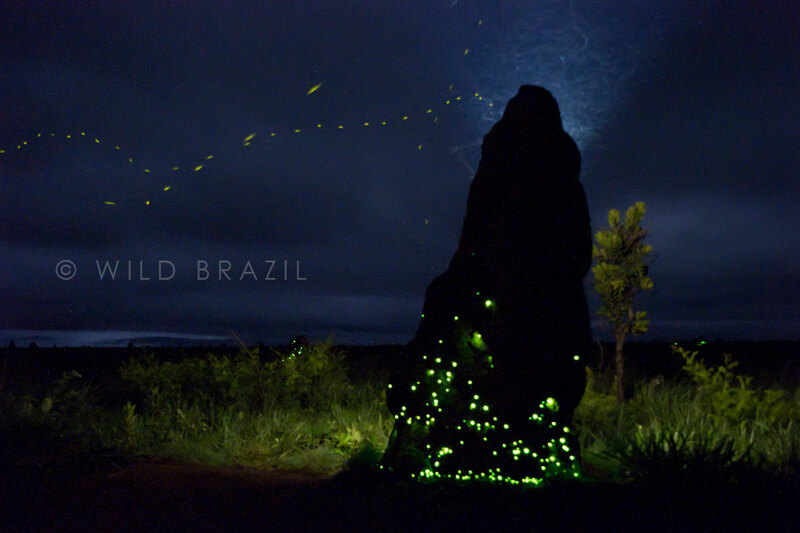 These larvae excavate an intricate network of tunnels in the outer layers of the mounds leading outside, from where they stick out their head and their green shining luminous prothorax (in dorsal decubitus) to attract and catch flying preys, especially termites and ants (Hymenoptera, Formicidae).